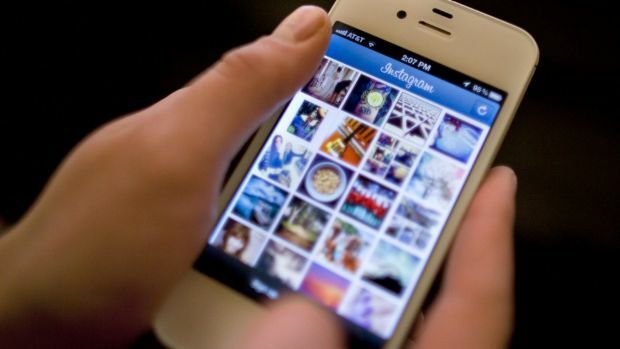 When it comes to mental health, Instagram has been ranked as the worst social networking app for young people, according to a new survey published by the Royal Society for Public Health (RSPH) in the UK. Their Status of Mind survey* asked 1479 young people aged 14 to 24, to score popular social media platforms on issues such as anxiety, depression, loneliness, bullying and body image. Young people who spend more than two hours per day on social networking sites are more likely to suffer from mental illness. The photo-sharing app, which has over 700 million users worldwide, appeared to be more detrimental to young people's mental health when compared to Snapchat, Facebook, Twitter and YouTube. Chief executive of the RSPH, Shirley Cramer, said social media sites pose a real and immediate threat to the health of young people. "Social media has been described as more addictive than cigarettes and alcohol, and is now so entrenched in the lives of young people that it is no longer possible to ignore it when talking about young people's mental health issues", Ms Cramer told The Telegraph. "It's interesting to see Instagram and Snapchat ranking as the worst for mental health and wellbeing - both platforms are very image-focused and it appears they may be driving feelings of inadequacy and anxiety in young people. The platforms that are supposed to help young people connect with each other may actually be fuelling a mental health crisis", Ms Cramer said. The report offers an insight into the possible link between mental illness and heavy social media use. "Instagram easily makes girls and women feel as if their bodies aren't good enough as people add filters and edit their pictures in order for them to look 'perfect'", an anonymous female respondent said in the report. "This [social media] resulted in me not eating properly and losing a lot of weight and becoming very depressed, I finally recovered which was hard for myself to be bullied online again in year 8. Overall I would say social media has caused me many issues and has caused me to be depressed many times", another respondent said. The report also identified the length of time that people are engaging with social media platforms as the greatest cause for concern. "Seeing friends constantly on holiday or enjoying nights out can make young people feel like they are missing out while others enjoy life", it notes. "These feelings can promote a 'compare and despair' attitude in young people. Individuals may view heavily photo-shopped, edited or staged photographs and videos and compare them to their seemingly mundane lives". Young people who spend 2 hours plus daily connecting on social networking sites are more likely to suffer from increased levels of psychological distress, depression, anxiety and suicidal thoughts, according to the report. However, it isn't all bad news; social media platforms can also promote a sense of community and provide emotional support for at-risk youth. "I have anxiety and on many occasions I have found videos that put how I feel into words and explain it, and this benefits me a lot making me feel more confident", an anonymous respondent said. Despite the criticisms levelled at Instagram by a host of respondents in the survey, the app was found to have a positive effect on self-expression and self-identity. Social media platforms identifying users with mental health problems and "discreetly signposting places they can get support"
Our team of highly qualified and experienced trainers educate young people, their parents and the community on other aspects of cyber safety and cyber bullying. Click here for more details of our workshop.